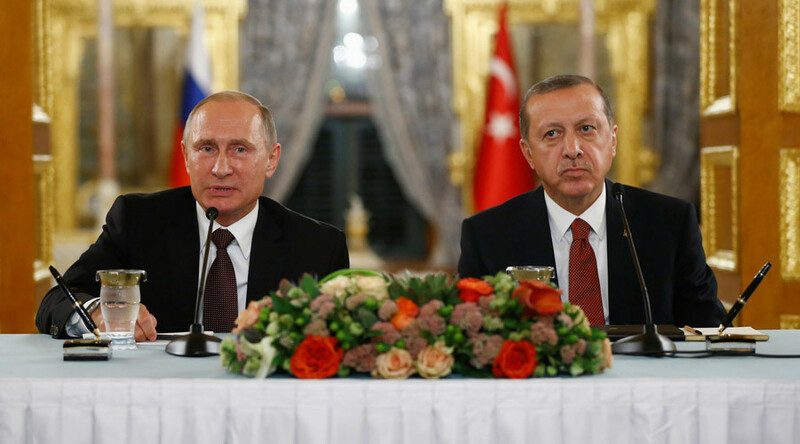 Russian President Vladimir Putin and his Turkish counterpart Recep Tayyip Erdogan have urged a swift end to the bloodshed in war-torn Syria, following talks between the two leaders in Istanbul on Monday. “Both Russia and Turkey stand for the earliest cessation of bloodshed in Syria. In Russia we think that the switch to a political settlement must happen as soon as possible. We suppose that everybody, who wants peace, should support this proposal,” Putin said. According to Putin, both Moscow and Ankara backed the proposal of UN Special Envoy for Syria Staffan de Mistura, regarding the removal of militants from Aleppo. “Together with the Turkish president we agreed to do everything to support de Mistura’s initiative on the withdrawal of military units, which refuse to lay down their arms, from Aleppo in order to end violence,” he said. The Russian president said that he and Erdogan had agreed to strengthen contact between the countries’ militaries and intelligence agencies. He added that Moscow is ready to develop large-scale military-technical cooperation with Ankara and the sides are now studying various projects. The Turkish military operation in Syria and ways to cooperate in providing aid to civilians in the city of Aleppo were discussed during the talks in Istanbul on Monday, Erdogan said. The Russian and Turkish militaries, as well as intelligence services and diplomats from the two countries, will continue to work together on the provision of humanitarian aid in Syria, he added. “We thoroughly discussed the Syrian issue. We talked about the [Turkish] Euphrates Shield operation and evaluated ways we can cooperate in this direction. We specifically talked about what strategy we may choose in order to help, from a humanitarian point of view, the inhabitants who are in a dire situation, especially in Aleppo,” Erdogan said. “We have a common stance [with Turkey] regarding what must be done to deliver humanitarian aid to Aleppo. The issue is ensuring security for the deliveries of this cargo,” Putin said. During the talks, the two leaders agreed to “speed up the work” on construction of such vital joint projects as the Turkish Stream gas pipeline and the Akkuyu Nuclear Power Plant, the Turkish president said. Before the two leaders addressed the media, an intergovernmental agreement on the Turkish Stream pipeline was signed in their presence. 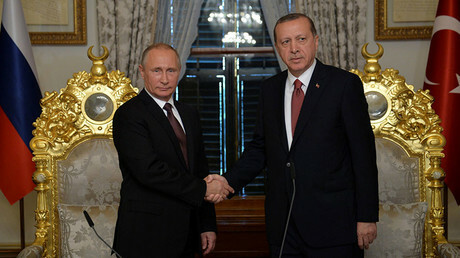 Regarding the signing of the Turkish Stream pipeline deal, Putin said that Moscow and Ankara are moving forward with plans to create a major energy hub in Turkey.